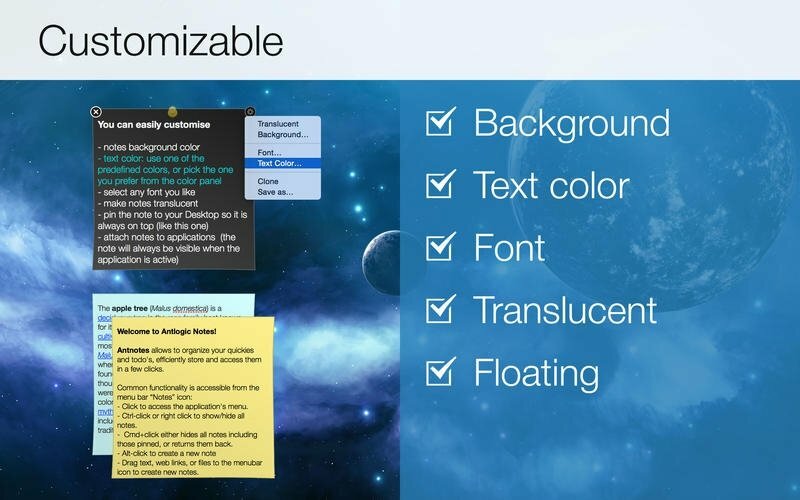 If you need a reminder for anything while you're working on your Mac, a great option is to resort to a virtual notepad. You can use it just life a real one, with pages that you can stick to the desktop just like you would attach a sticky note to your monitor. 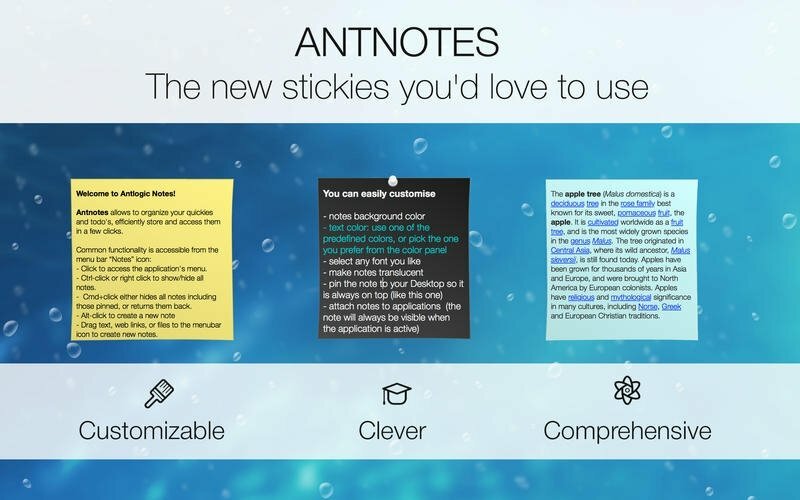 Antnotes will do it all for you. Customizable backgrounds, fonts and text colors. Stick notes to your desktop making them stand out from any other application. 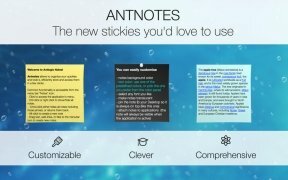 Option to create transparent notes. 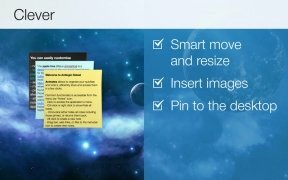 Create notes by dragging and dropping text, images and files to the icon on the menu bar. Quick access from the dock. Integration with other services and applications. File with all discarded notes. Requires Mac OS X 10.6 or above and a 64-bit processor.